You’re living the dream that so many wish they could live: you own your own business. We don’t need to tell you that entrepreneurship is not always all it’s romanticized to be -- owning your own business presents a unique set of challenges, to say the least. You’ve put in the work: planning and financing, buying and selling, hiring and firing. But has it been enough? Do you suspect that there may be unnecessary costs within your operating budget, but you’re not sure what they are? Do you feel that you should be accomplishing more, given all the hours that you’re putting in? In short, do you feel that something’s holding your company back from reaching its full potential? If so, it may be time for a small business coach. There are three telltale signs that your company needs one. Do any of the following describe you? 1. You frequently find yourself wishing you could delegate things to someone. . . but you’re not sure who. You get the sense that you need someone else on the team, but who? Another account manager? An additional human resources contact? A system support specialist? You constantly feel short-handed, yet you can’t pinpoint the exact set of hands that are missing. This feeling of being understaffed may not mean that you need more “staff” in the traditional sense. You might just need someone who can evaluate your staff from an outside perspective. This is the calling card of a small business coach: the outside perspective. Maybe your long-time retail manager would really be better suited to outside sales—but neither of you can see it. Or your accounts payable/receivable employee would be far more productive as a customer service representative, but no one’s picked up on it yet. This is when having small business coach can come in handy. These errors and misallocations in staffing can be pinpointed and rectified by a small business coach. Correct staffing will not only alleviate the feeling that you can’t delegate the way you want to, but it will also cut costs—a well-placed employee is more productive, happy and profitable. 2. You find yourself thinking “If I just had the answer to this question, I could get on with _______.” None of us can specialize in everything. Even if we could, we wouldn’t have enough time to do so (until we can upload programs to our brains, that is). Management guru Peter Drucker maintains that the most important shift in business today is from “ownership” to “partnership” and from “individual tasks” to “collaboration”. The successful company is not the one with the most brains, he suggests, but the most brains acting in concert. When you think about it, this makes a lot of sense. Can you execute a marketing plan without breaking a sweat, but lack the knowledge necessary to draft a comprehensive plan in and of itself? Are you aces at hiring the right people, but terrible at writing the help-wanted ads to bring them in? Do you slam-dunk your conference calls but fail miserably at finalizing contracts? 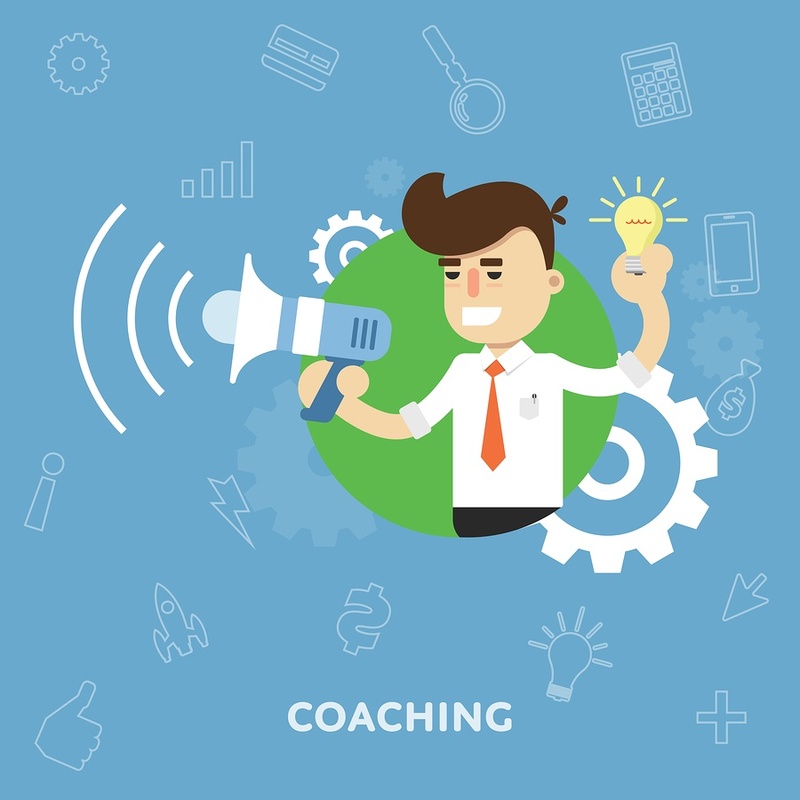 If you find yourself consistently frustrated, wishing you were more specialized in things that simply aren’t your forte, it may be time to bring in a specialist—a small business coach. The only thing worse than ignoring your weaknesses is completely failing to recognize them at all; small business coaches aren’t there to coddle you. They’re there to help you improve and advance your company. 3. You sense that your company could do more and do it better, but you’re not sure how. Steve Jobs didn’t build Apple alone. Sir Richard Branson didn’t build Virgin Airlines alone. Meg Whitman didn’t launch eBay alone. Regardless of how smart, how talented or how experienced any of us is, the fact of the matter is that most of us simply don’t have what it takes to launch brilliant ventures all on our own. And it can take more than just employees with which to divide the labor—it can take someone else at the top. Someone else in an executive chair (or an executive’s advisor chair!). That someone else should bring different ideas to the table -- they should offer a different perspective; should possess a different skill set and outlook and way of working. In short, that person should be a small business coach. Small business coaches have seen it all, and by learning from the mistakes (and successes) of others through your coach’s experience, you can save yourself a lot of time, energy and headaches - and instead focus on what really matters, like taking advantage of new opportunities. The small business coach is the secret weapon of many a successful entrepreneur. Far from a luxury, a small business coach can help make the difference between success and failure, persistence and abandoning ship. And they’re also a very affordable option for many people who just need a little guidance when it comes to making strategic moves for their companies. Have you considered hiring one before? Do you have some questions that would clarify whether your company could benefit from a small business coach? Use this search page to see where TAB’s nearest business coach is located. You have nothing to lose but inefficiency.